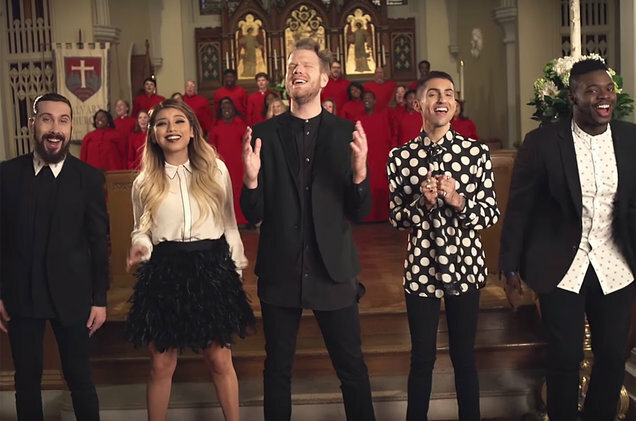 Pentatonix spends a second week atop the Billboard 200 with A Pentatonix Christmas, as the set earned 101,000 equivalent album units in the week ending Dec. 29, 2016 — the final tracking week of the calendar year. A Pentatonix Christmas’ handsome sales, along with small declines in SEA and TEA (down 12 and 10 percent, respectively), helps keep the album ahead of the No. 2 set on the Billboard 200, The Weeknds former No. 1 Starboy. The latter climbs one rung with 94,000 units (down only 7 percent). Mars 24K Magic dips one slot to No. 3 with 81,000 units (down 29 percent), while J. Coles 4 Your Eyez Only is steady at No. 4 with 75,000 units (down 16 percent).